Lloyd W. Newton was born on 24 December 1942 in Ridgeland, SC, where he graduated from Jasper High School. He earned a Bachelor of Science degree in Aviation Education from Tennessee State University in Nashville. A distinguished graduate of the Air Force Reserve Officer Training Corps program at TSU, he was commissioned as a Second Lieutenant in the Air Force in 1966. Upon completing pilot training at Williams AFB, AZ, in June 1967, he attended F-4D qualification training at George AFB, CA. He flew 269 combat missions from Da Nang Air Base, South Vietnam, including 79 missions over North Vietnam. From November 1974 to February 1978, Newton was a member of the U.S. Air Force Aerial Demonstration Squadron, the Thunderbirds. He served in several positions including narrator, slot pilot and right wingman. From 1978 to 1982, he was assigned as an Air Force Congressional Liaison Officer with the U.S. House of Representatives, Washington, DC. He commanded three wings and an air division, and held numerous staff positions. From 1993 to 1995, he was Director of Operations, J-3, U.S. Special Operations Command. 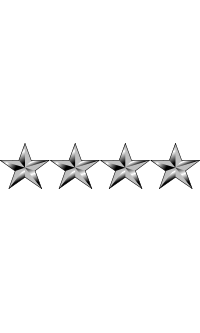 On 1 April 1997, Newton was promoted to the four-star rank of General and assigned as Commander, Air Education and Training Command (COMAETC). 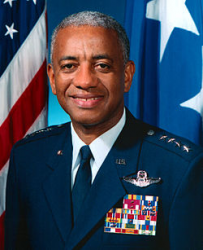 General Newton retired from the Air Force in 2000. During his service, he became a Command Pilot with over 4,000 flight hours in the T-37, T-38, F-4, F-15, F-16, C-12 and F-117 stealth fighter. June 1966 - June 1967, pilot training, Williams AFB, AZ. June 1967 - April 1968, F-4D qualification training, George AFB, CA. April 1968 - April 1969, F-4D pilot and systems operator, Da Nang Air Base, South Vietnam. April 1969 - November 1969, F-4D upgrade qualification training, George AFB, CA. November 1969 - November 1973, F-4D pilot, 523rd Tactical Fighter Squadron, Clark Air Base, Philippines. November 1973 - November 1974, F-4D Flight Instructor Pilot, Luke AFB, AZ. November 1974 - February 1978, narrator and slot pilot, U.S. Air Force Thunderbirds, Nellis AFB, NV. February 1978 - June 1978, student, Armed Forces Staff College, Norfolk, VA.
June 1978 - December 1978, right wingman and narrator, U.S. Air Force Thunderbirds, Nellis AFB, NV. December 1978 - February 1982, Congressional Liaison Officer, U.S. House of Representatives, Washington, DC. February 1982 - June 1982, F-16 qualification training, MacDill AFB, FL. June 1982 - June 1983, Assistant Deputy Commander for Operations, 8th Tactical Fighter Wing, Kunsan Air Base, South Korea. June 1983 - August 1984, Assistant Deputy Commander for Operations, 388th Tactical Fighter Wing, Hill AFB, UT. August 1984 - August 1985, student, Industrial College of the Armed Forces, Washington, DC. August 1985 - November 1986, Assistant Deputy Director for Operations and Training, Headquarters U.S. Air Force, Washington, DC. 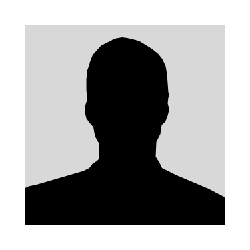 November 1986 - July 1988, Assistant Director of Special Projects, Directorate of Plans, Headquarters U.S. Air Force, Washington, DC. July 1988 - May 1989, Commander, 71st Air Base Group, Vance AFB, OK.
May 1989 - May 1990, Commander, 71st Flying Training Wing, Vance Air Force Base, OK.
May 1990 - August 1991, Commander, 12th Flying Training Wing, Randolph AFB, TX. August 1991 - November 1991, Commander, 833rd Air Division, Holloman AFB, NM. November 1991 - July 1993, Commander, 49th Fighter Wing, Holloman AFB, NM. July 1993 - May 1995, Director of Operations, J-3, U.S. Special Operations Command, MacDill AFB, FL. June 1995 - March 1997, Assistant Vice Chief of Staff, Headquarters U.S. Air Force, Washington, DC. March 1997 - 2000, Commander, Headquarters Air Education and Training Command, Randolph AFB, TX. His handle, Fig, along with his last name, Newton, was a play of words on the popular cookie "Fig Newtons."